If you’re in search of vintage (ca. 1935-1945) model airplane (e.g., Supermarine Spitfire, Grumman XF5F-1, etc.) plans (published in Bill Barnes Air Trails, Flying Aces, and Model Airplane News), then plan a stop at Ken Horne’s Web site. 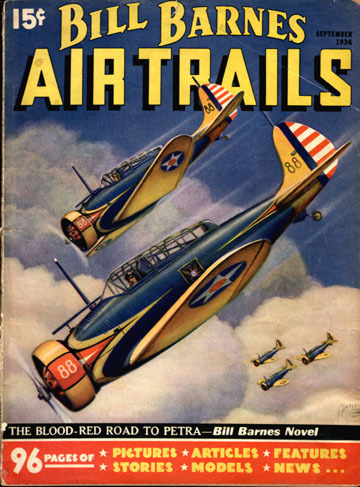 Packed with Adobe Acrobat PDF reprints from the great DIY airplane building magazines from America’s modeling heyday, this site risks filling your hard drive with way too many plans—all of which could take a lifetime to build.